Oscar Night is about style just as much as it is about movies, and while celebrities get to wear the most fabulous gowns and jewelry in the world, it is us who is left to judge whether they look good in it. I can only imagine what a stress it is for them to pick that dress… Let’s play stylists today and discuss red carpet-appropriateness of these gorgeous gowns by Russian designers. Ulyana Sergeenko is an international star designer now and I really wish somebody wore one of these to a big event. Green would look fab on red carpet, don’t you think? Valentin Yudashkin can produce divine as well as questionable designs, but when I saw his haute couture creations up close, their outstanding quality and detail made me fall in love forever. The purple gown below is just made for me, mmmm…. 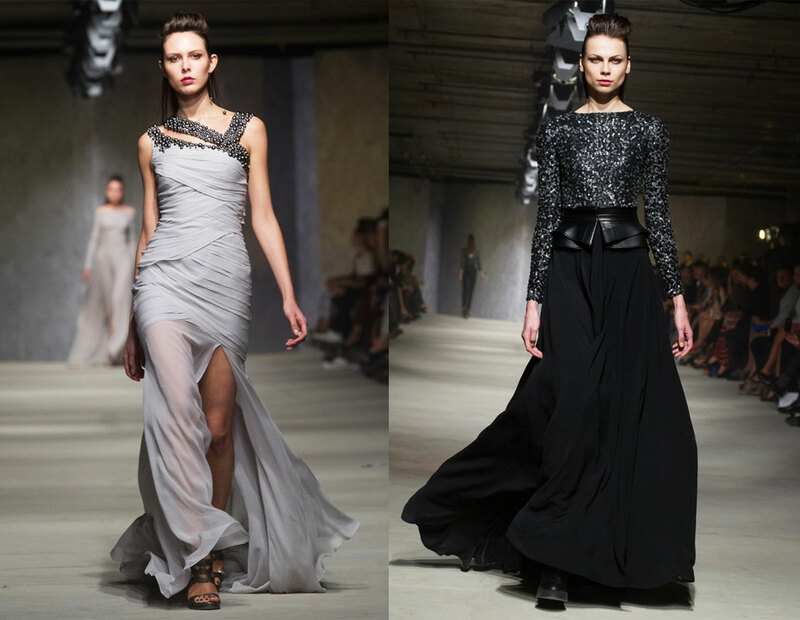 Chapurin haute couture 2013 collection was dark, opulent and… surprisingly gownless. As his dresses are highly sought after by Russian celebrities, I hope he is hiding more up his sleeve. At the end, one simple and one wicked dress. Would you choose one of these for the Oscar Night?